The racing season charges on for Jazeman Jaafar, with the penultimate round of the 2015 Formula Renault 3.5 Series heading to Le Mans in France this weekend. The Bugatti circuit at this revered racing venue will host the event for the first time since 2009, with the Series making its third appearance at this French home of motor racing. Following his third place last time out in Nurburgring, Jazeman is out to impress again and put in a strong performance, challenging for a podium spot in the 2015 Drivers Championship. Currently lying fourth, but just six points off his nearest rival, there are plenty of points on offer over the next four races and the opportunity to grab a top three is not lost on Jazeman. The 2.65 mile, 4.18 km circuit features the Ford Chicane, Dunlop curve, Dunlop chicane and pit straight which feature in the track used for the 24 Hour race, with many of the event’s iconic pictures taken in this section. 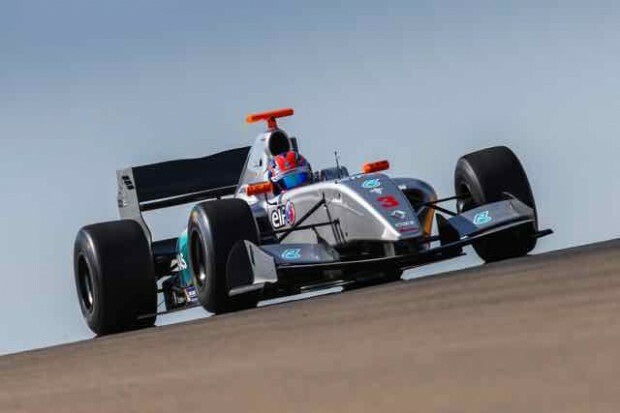 The World Series by Renault event at Le Mans, with the headlining Formula Renault 3.5 Series taking centre stage starts on Friday 25th September with two practice sessions, 10.00 – 10.50 and 14.40 – 15.30. It continues with qualifying for the first race at 09.45 – 10.15 on Saturday 26th September and the race in the afternoon from 13.30 – 14.15. On Sunday 27th September, the second qualifying session to set the grid for the second and final race is from 09.00 – 09.30, with the race from 13.30 – 14.15. The races will be live on Eurosport International, check local listings for times.